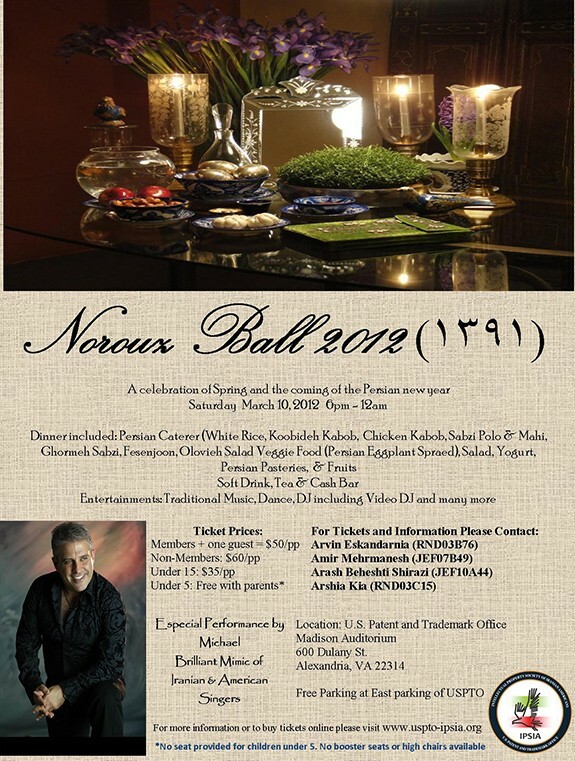 The Intellectual Property Society of Iranian Americans (IPSIA) will begin celebrating Norouz, the Persian New Year, at the USPTO with a series of cultural events, including a Norouz Ball. The celebration of Norouz involves promoting life in harmony with nature, displaying a “Haft Seen”, a table of symbolic items; visiting relatives and friends; and paying respect to senior family members. For the Past 3 years members of IPSIA have organized this event at the U.S. Patent and Trademark Office. This event is the single biggest Persian event at a U.S. Government Facility. 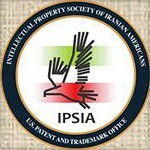 IPSIA is a voluntary employee organization recognized by the U.S. Patent and Trademark Office (USPTO) which works to celebrate and share the rich Persian cultural heritage with the USPTO community and the impact of Iranian-American professionals in this community specially by recognizing Iranian-American Inventors. IPSIA also works to promote diversity, collaboration, mentoring, and professional networking at the USPTO. Our Organization welcomes all USPTO employees and non-USPTO employees to join. All employees, friends, and family are welcome at IPSIA sponsored events.